Aerial footage taken in the area also showed the size and scale of the waterfront church, including an open blue stage with spotlights. It's set to open its doors to the public on 8 February, just in time for Chinese New Year. 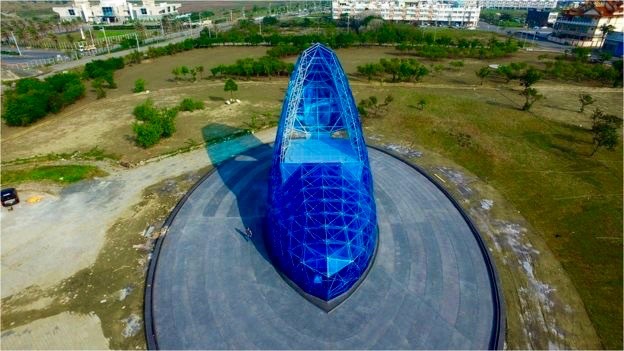 It is the creation of local government officials in the Southwest Coast National Scenic Area, a prominent tourist area in Taiwan, which decided to build it. But Pan Tsuei-ping, the administration's recreation section manager said that the church will not be used for regular services, but pre-wedding photo shoots and wedding ceremonies. "In our planning, we want to make it a blissful, romantic avenue... Every girl imagines how they will look like when they become the bride," Ms Pan explained. The shoe was inspired by a local story. According to officials in the 1960s, a 24-year-old girl surnamed Wang from the impoverished region suffered from Blackfoot disease. Both of her legs had to be amputated, leading to the cancellation of her wedding. She remained unmarried and spent the rest of her life at a church. The high heel is intended to honour her memory. Attracting women seems to appear to be the reason behind the design. "There will be 100 female-oriented features in the church like maple leaves, chairs for lovers, biscuits and cakes," government spokesman Zheng Rongfeng is quoted as saying in local media. "It will be tailored to women, especially female tourists visiting the area." It has not been an unqualified success, at least on social media. One Taiwanese netizen wrote on popular Taiwanese online forum PTT, "Besides copying, what kind of standard does this church have?" 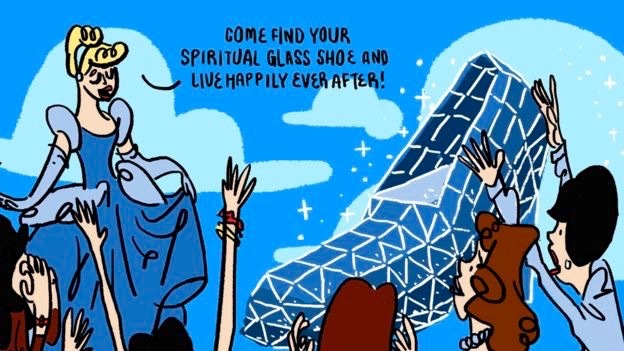 Women apparently don't all want glass slippers. 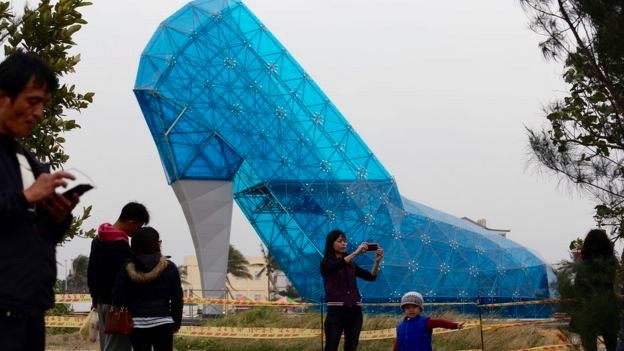 From another user: "Why don't people say that it's objectifying women this time..." Comments streamed in from China too: "What were the authorities thinking when they commission such a hideous-looking building in the area? It's just disrespectful," said one user on popular Chinese microblogging site Weibo. Another user Jessie Chou said, perhaps with some disdain: "I wear flip flops anyway". But some female users leapt to its defence: "If the shoe fits, why not wear it? I like it, it looks better than most modern churches anyway," said Lao Fu Qing. Another user from Shandong province said: "Most girls love fairytales, it's great that officials want to focus on women for once."